Responsiveness – our first priority is to understanding our clients’ requirements. We take a proactive approach; we plan effectively; and apply our resources rationally. We consistently provide timely responses and complete assignments on schedule. Best practice – we bring to each assignment the best mix of engineering expertise, strategic thinking, sound judgement and clear communication. Innovation – we continually develop and improve our knowledge, skills and technological capabilities to achieve leading-edge designs and innovative approaches. 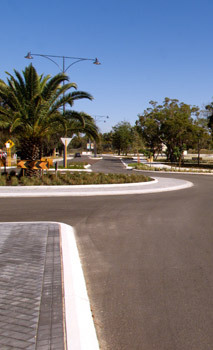 Porter Consulting Engineers is a Member of the Urban Development Institute of Australia (UDIA), Consult Australia and a Corporate Member of the Institute of Public Works Engineering Australia (IPWEA). Brad Harris is a member of the State Executive Committee for Consult Australia and both Brad and Evan Williams are involved with various positions on IPWEA committees and are fellows of IPWEA. Shane Highman is a Deputy Representative for Consult Australia on the Water Corporation’s Urban Development Advisory Committee (UDAC) who provide insight into the changing customer and developer needs within the land development industry. Shane is also a member of the UDAC Technical Committee, having input into the way the industry and Water Corporation resolve technical issues. 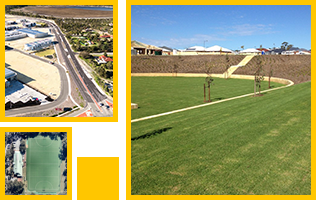 Our engineering consultancy work has been acknowledged through several industry excellence awards from UDIA and IPWEA (WA Division). Porter Consulting Engineers has active Occupational Health & Safety, Quality, Privacy and Environmental policies along with a Client Service Charter.